Sol Jensen, UND assistant vice president of Enrollment Services, says the more UND can grow its enrollment, the more revenue the University will have to lessen the impacts of likely budget reductions in the next biennium and beyond. Photo by Jackie Lorentz. An economic slump is the right time to double-down and invest in a stronger future. Nowhere has this proven more true than in the world of marketing. Take the Depression-era example of two rival cereal makers: Kellogg and Post. When the Depression first hit, Post did what most companies do during down markets; it retrenched and slashed its advertising budget. Kellogg, on the other hand, doubled its ad budget. By 1933, as the economy bottomed out, Kellogg had become the industry’s dominant player. Post has never made up the ground it lost more than 80 years ago. These same principles can be applied today to academia in general, and to the University of North Dakota specifically. UND leaders recognize this as they continue to develop a new Strategic Plan for the University amid an environment of tough economic times due to falling commodity prices and calls for steep budget cuts. Instead of hunkering down and waiting for good times to return, the University is actively pursuing ways to increase revenue through enrollment management and retention. Sol Jensen, UND assistant vice president of Enrollment Services, made the goal clear – the more UND grows its enrollment, the more revenue the University will have to lessen the impacts of likely budget reductions in the next biennium and beyond. “And the best way to increase enrollment is to increase the visibility of UND through new and effective marketing, advertising and recruitment channels, and then through intentional efforts to increase the retention and success of students once on campus,” Jensen said. 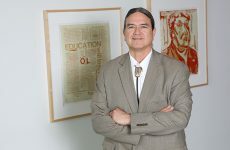 A strong brand, identity and reputation that defines how UND differentiates itself from other institutions is more important than ever in attracting the right students, Jensen said. He added that UND has standout academic programs, excellence in teaching, internationally-recognized research and caring and supportive student services and programs. Instead of hiding our light under a bushel basket, Jensen says UND needs to invest more heavily in marketing and advertising, despite the likely budget reductions that may be looming. A first step in UND telling its story more effectively is the launch of a University branding strategy project in the coming weeks. Through expansive stakeholder research, UND intends to develop a brand positioning strategy including defining UND’s brand promise, brand attributes and key messages for audience segments. This project is expected to wrap up by May. A second major project involves the complete redevelopment of the UND website, the primary entry point for most prospective students to learn more about UND. The new website will be focused on external audiences, and will include considerable upgrades in website architecture, design and content. “The proposed timeline for the website development project is about 12-15 months, so we’re hoping to go live in the spring of 2018,” Jensen said. The web development project also entails the creation of new academic program recruitment landing pages, which, like the rest of the new website’s features, would be responsive to mobile platforms. Beefed up digital advertisement would connect prospective students directly to these responsive web pages. 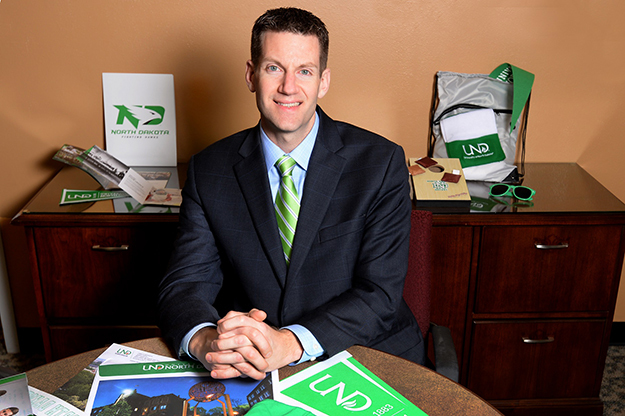 “All of these new marketing initiatives will increase the number of students who are exposed to, attracted to, and eventually enroll at UND,” Jensen said. 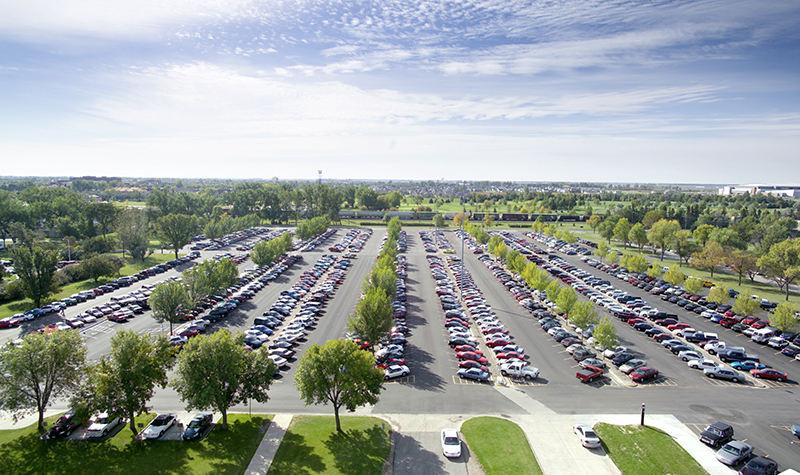 In addition to its new marketing initiatives, plans also are in place on the retention front to help keep students enrolled at UND after arriving. These plans include investing in systems that provide stronger predictive analytics to target retention efforts in a timely manner. Over the past two years, UND has been using a software program called Starfish to identify at-risk students. The software allows faculty, advisors and other UND staff to provide early alerts and intervention strategies directly to students. UND also is a member of the Predictive Analytics Reporting (PAR) Framework, a collection of institutions across the country that share aggregated data and metrics to improve students’ success. Along with the Strategic Planning Committee, two campus groups are assisting the University in driving its new marketing and retention efforts. The Marketing Council, a roughly 30-member panel of University communication and marketing professionals, provides direction and advice on marketing issues. The Strategic Enrollment Management Committee is more focused on strategic recruiting and retention efforts. Jensen emphasized that effective enrollment management, with an eye toward student success and a stronger bottom line for the University, depends on the entire University being engaged, not just a few key individuals.